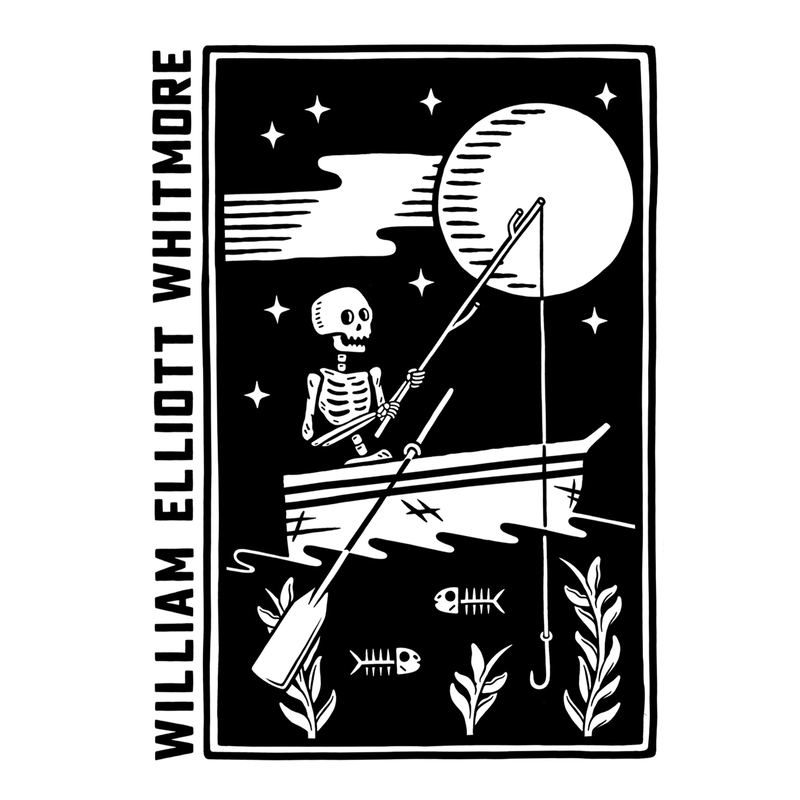 Welcome William Elliott Whitmore to the Bloodshot crew with this Jolly Roger on the river, fishin' for bones under the moonlight. White screenprint on extra soft black Next Level premium short sleeve unisex crew shirt. 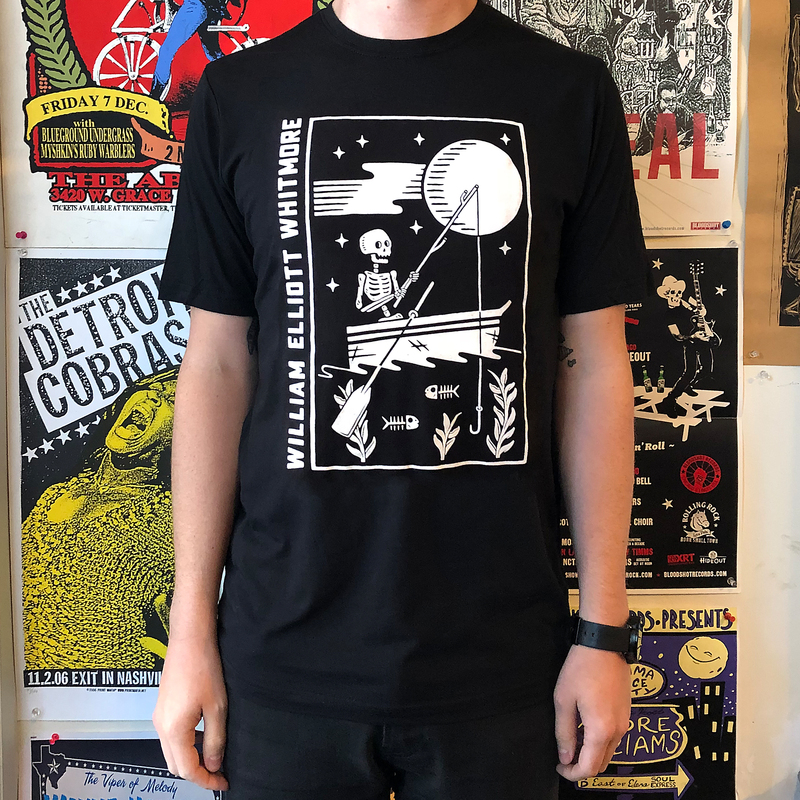 Design by Justin Hertner.